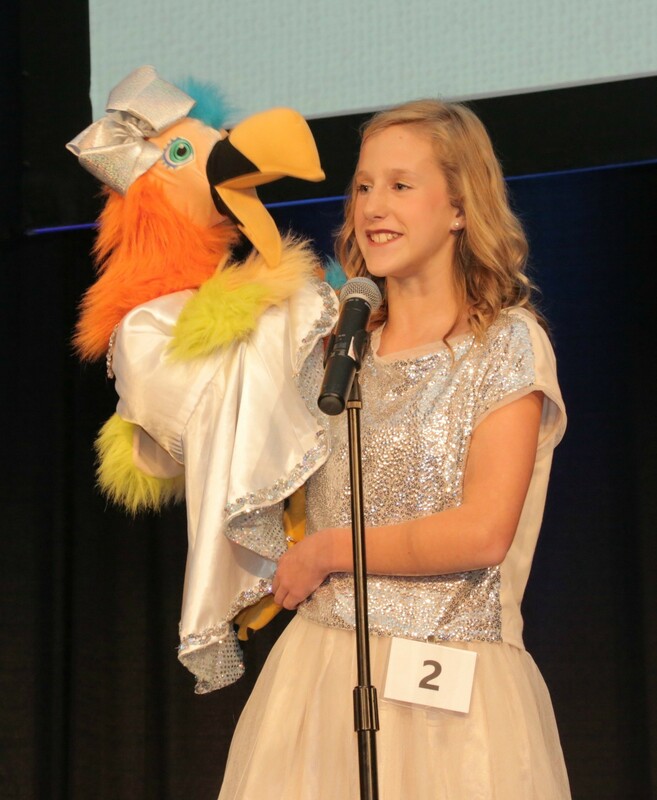 Claire Patterson of Henderson County performs in the 2018 KFB Variety Showcase held in December during KFB Annual Meeting in Louisville, KY.
represent the district at the state variety showcase at the Kentucky Farm Bureau Annual Meeting,in Louisville, if selected as a district winner. District variety contests are held in conjunction with the Outstanding Farm Bureau Youth competition. The variety act may be in any performance area: vocal, instrumental, dance or drama. An act can represent the district only one year at the state variety showcase. County/District Awards - Prizes awarded at the discretion of the county/district. State Awards - All 11 district acts perform at the KFB State Annual Meeting. Each act is awarded $250 at the conclusion of the program.